Unfold sticker and flatten creases. Fun - 3D Crack Sticker Included. HOW TO INSTALL YOUR 3D CRACK STICKER. DO NOT mount 3D Deco Lights in reach of children. The 3D Deco Lights are NOT toys. HOW TO REMOVE YOUR 3D CRACK STICKER WITHOUT DAMAGING YOUR WALL. MINION NIGHT WALL LIGHT. SIZE IS 16CM X 23CM. Makes a fun alternative to a regular night light. Designed with safety in mind, the light is cordless, battery operated and stays cool to touch. Box Contains: 1 x 3D Minions™ BOB Light, 1 x Wall Sticker, 1 x Instruction Manual, 1 x Fixtures and Fittings. Durable and drop proof. Fun and easy to use for small hands. WEDDING PARTY BANNERS. Choking hazard! contains small parts not suitable for children under the age of 3 years. FLAMINGO WATERING CAN 1.5 LITRES. Price: £8.95. Quick view. Price: £4.95. JUMBO STORAGE WORLD MAP RECYCLED REUSABLE LAUNDRY BAG. Attatches to the cot or free-standing. Plays 3 soothing lullabies to gently send baby to sleep. Age: From Birth. Argos will then notify you when your order is ready for collection. The Banana Night Light is really a-peeling! However, press the top of the endocarp (the white bit that you eat) and this nocturnal ‘nana will light up! As mad as it might sound, the Banana Night Light emits a soft ambient glow, that would probably have saved the air-force a lot of money if they’d only been able to get one to King Kong. The light can be clipped to the bed, used as a bedside light or can hang on the wall and has a bendable neck to allow you to position it as you wish. It uses 6 bright energy saving LED lights and a large on/off button. To do this touch the power on/off button for 2 seconds and it should flash, then after ten minutes it will turn off conserving power. Led And Party Supplies. Anti Blue Light Glasses. 1 x LED Lamp, charging cable and instructions. ISI Mini's Wall Decor Light: Mumbo Black will be a gorgeous addition to your baby's room! 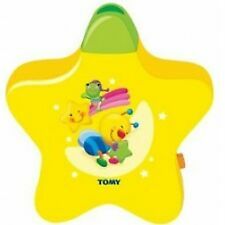 The wireless wall light shuts off after 12 minutes, letting baby sleep peacefully! Wall stickers included. Batteries required. 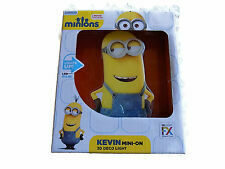 MINIONS STUART 3D DECO LIGHT BNIB FOR SALE. 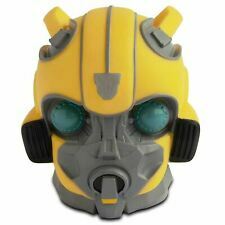 Philips 6911234PH Yellow Bee Portable Motion Sensor LED Night Light for Children Brand New Genuine Product with Manufacturers 2 Years Warranty Included The GuideLight is a portable LED lamp with a soft glow that is bright enough to guide pople in the dark. 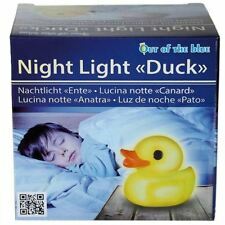 It is ideal for use at night when you only need light for orientation. A motion sensor automatically turns it on when needed. A reassuring friend at night. The GuideLight Bee is the perfect bedtime companion for children. The GuideLight Bee puts a modern twist on the traditional Children’s night light as it produces a safe, comforting glow that turns itself on where there is movement nearby and again off after a short period of time. The shape of the GuideLight Bee is easy to hold, carry and even cuddle. The GuideLight Bee is. Designed with safety in mind, the light is cordless, battery operated and stays cool to touch. Choose from: Bob, Kevin, Stuart or a set of all 3! Stuart - Size approx: 13cm (H) x 11.5cm (W) x 3cm (D). It has been checked to make sure it's working, I no longer have the instructions for it either. It has 3 Buttons on it's back to adjust Sound and Colours. Angry Birds. Illumi-Mates – Chuck. 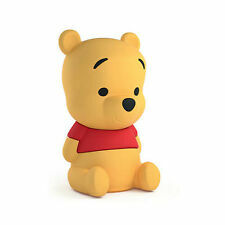 Philips Disney Winnie the Pooh Children's Softpal - Portable Light Friend - New.